I'm looking forward to a detailed review of the Billion Hair Potion. It has really piqued my interest but the ingredients are a little 'bleh' so I really want to know if this product works as great as it says. Great post. 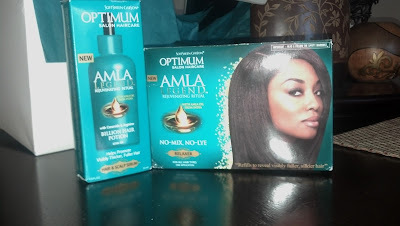 I've seen the Amla Legend line advertised a lot lately and I wondered if it was any good. 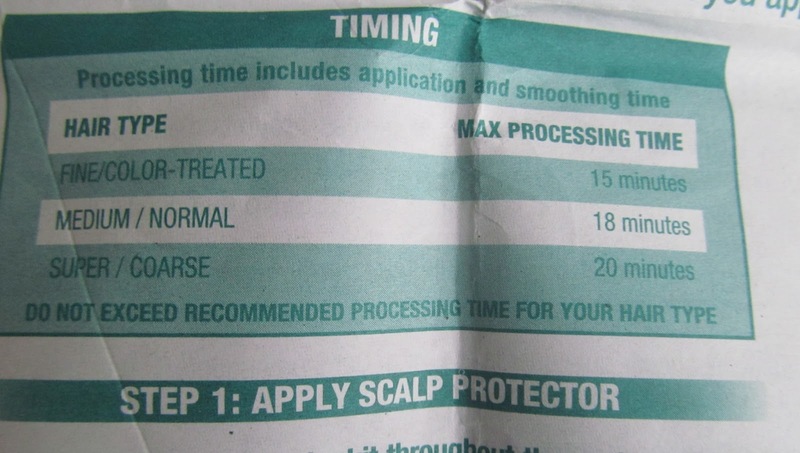 How many weeks post were you when you used this relaxer? I was about 11 weeks post relaxer when I applied it. Funny that I was planning to relax and they sent it around that time. Then I wouldn't be able to show "results" until the next relaxer service in another 3 months. Where do you live? It's not available every where since it was launched in January. But I do know that it is starting to come around. I hope you are able to get it soon especially if you are willing to try it out. Thanks so much for reading! I watched your video (I'm so bad about commenting on vids these days) and I wanted to tell you it was a really awesome review! I have been in love with the Optimum Care relaxer by Soft Sheen Carson for the past year and had no intentions of switching but after seeing your video and noting that its a no-mix formula and still contains ceramides, I will be trying it. 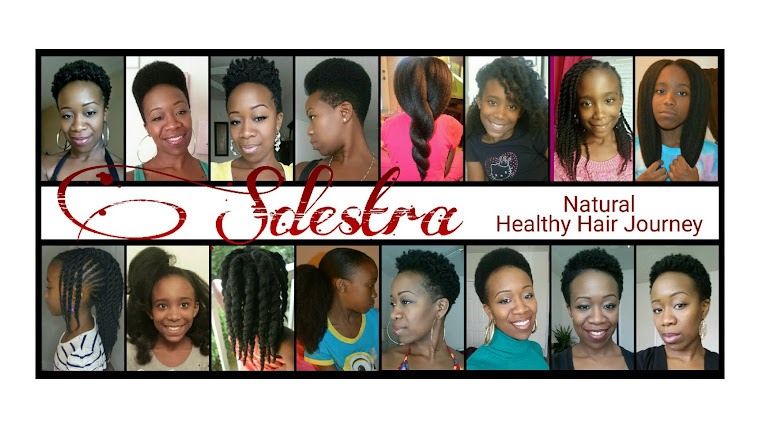 Also, since I've "followed" your hair journey for a while, seeing that it was enough for you to give up your long time staple (Febulaxer. Thanks so much for being so thorough! Thanks for reading Mel, I will do a review on it soon. I to try it out for at least a month before I do one. Stay tuned hun! My hair fell out. I have three quarter-size bald spots and a ziplock bag full of hair. I have coarse hair and wasn't able to get to the smoothing process. After 8 minutes it began to burn so i finished my edges quickly and rinsed it out. Only to find I was loosing hair. Hadn't had a perm in three months and no other chemicals. I've been perming my own hair over 20 years and never had a problem. This time I tried something new and lost my long beautiful hair. I will tell everyone I know of my experience.. Do not buy!! Good luck to you and I wish you a speedy recovery, God bless. Good that it has worked for you! I have used Reloxe products and its really worked and I don't think i can be able to find that products here. I admire the valuable information you offer in your articles.Thanks for the information. Really lovely and useful for me and will refer my friends to this blog. Amla products are always nice for hair. If I can find this product in Waycross, Georgia I believe it can be found anywhere. The product do have a wonderful smell from start to finish and Soft-sheen Carson give a nice size bottle of their hair lotion. I felt a difference in my hair as I was washing the relaxer out. I had to ask my daughter was all my hair on my head because my hair felt so silky! I used to use Optimum super and was fuming when Walmart did not have it in stock and had the Optimum Alma instead but I am happy I tried it. for Laser Hair Removal . I loved the way you to explained with us. Various hair care products available in market help in enhancing the growth and volume of hair. If you are looking for great Mens Grooming Products you can use for the best shaving results. And these products are better at promoting smoother rash free shave. Specifically, look for products that contain coconut oil. These are proven to be really good for your facial skin health. Brushing or combing untangled hair is a safe and easy way to massage the scalp and stimulate new growth.